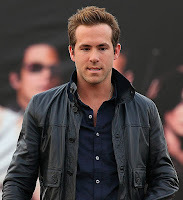 In all seriousness, huge props to Ryan for picking up the part of the Green Lantern in the upcoming film which is in works over at Warner Bros. On the other hand, this will be his third major comic book role, the first being in Blade: Trinity and second as Deadpool in the X-Men prequel Wolverine. I think this is a good casting decision and it just goes to show that an avid comic book reader can someday become their hero, at least on screen. Will it be a comedy? How will this movie turn out? Let us know what you think in the comments.